Choke Rod- For the late 1928-1929 Model A's. 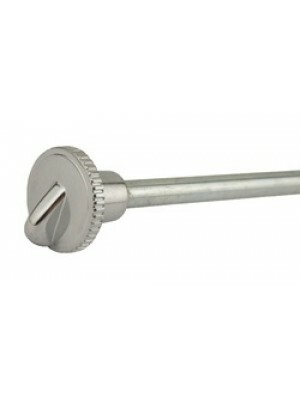 With chrome plated knob and cadmium plated shaft. IF you have a early 1928 car with the choke rod bracket way up under the gas tank, you can either buy this rod and shorten it, or we often have original 1928 short rods available. We also have original choke rods for all years. Sleeve (A-9705) and spring (A-9709) not included.